The rise of commercial construction starts in Alberta appears to be sustainable one. The commercial (and complementary industrial) industry forecasts for the year ahead are positive according to economists. So here you are, a commercial enterprise in Sylvan Lake and/or Red Deer (models of success), looking at future expansion. It’s a nice position to be in given the recent past of the province, but here we all are on the cusp of our economic return and your concern now, is where to begin. As we run down our list of other Central Alberta towns to build your business in, we have reached the quaint incorporated town of 1,125 residents, Eckville Alberta. Let’s find out why you may want to put a pin in this town as you expand your commercial business on the map of Central Alberta. When you imagine a small town in Central Alberta you may conjure up an image or two of retired folk sitting on a porch. And while that charming scene can be found, you’ll be surprised to find that the population is a young and bustling one. 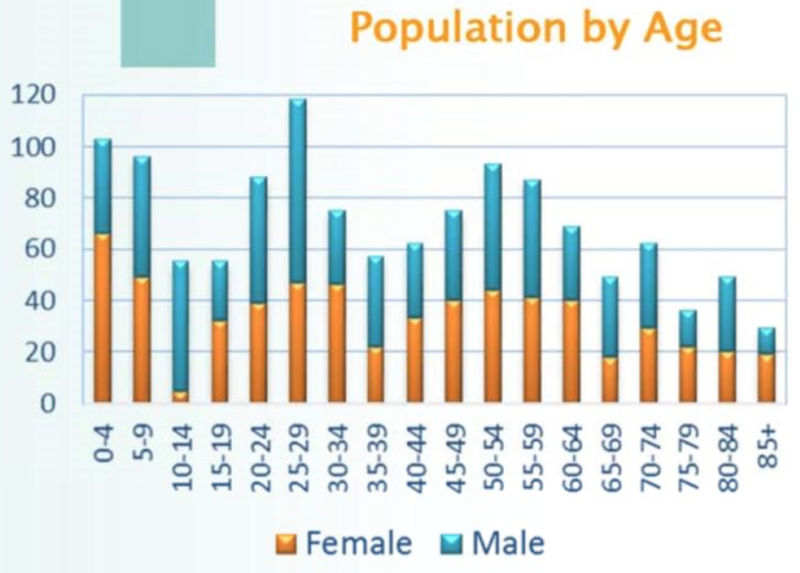 The largest category is aged between 25-29, followed by 0-4. These are young professional married couples that are having families. That’s great news for commercial businesses looking for longevity. So you’ve got a young, educated, baby-popping and professional population to help keep your commercial business afloat. But you need more than that, of course. Well, we’ve got good news here too. For one, there is room for your commercial offering. At the moment, the bulk of business in Eckville is comprised of B2B services, agriculture and natural resources (a great economic indicator in itself! ), and construction (click here). What this town needs, is more in the way of a commercial offering. This demand includes retail, dining, leisure, and a slew of complementary businesses. Will you get there first? Another indicator to look to is income. Disposable income in Eckville is healthy, and with this economic item on the rise throughout Alberta, Eckville’s will edge higher too. 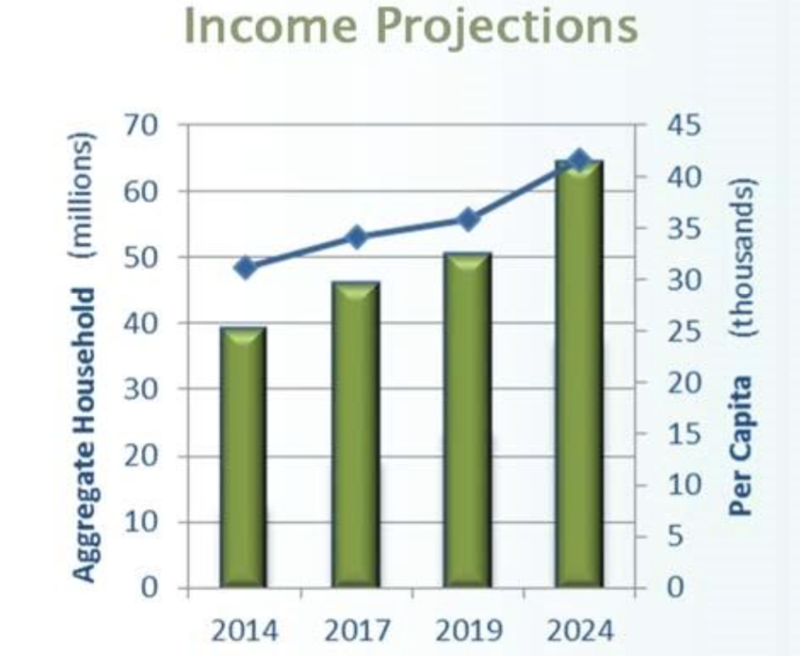 Income projections are favourable through to 2019 and into 2024 (and beyond). Simply put, the population holds enough money to more than support your commercial interests. There are a lot of annual events worth noting in this humble town throughout the year. You’ve got the Eckville Rodeo and Bull Arena (June), the Eckville 50s & 60s Dance Jamboree (August), and the Eckville Winter Carnival to name a few. But more importantly, long weekends and special events (Canada Day celebrations, etc.) have marked a frequent pilgrimage to Eckville for Central Alberta residents who seek to escape the constraints of their own city/town. Eckville is a draw, and when it comes to commercial businesses that depend upon both a local loyal following and a healthy influx of new and returning visitors, you can’t ask for much more. Apple Building Systems is a Central Alberta builder that specializes in integrating a business into a local area town where sensitivity to both building requirements and nuances of the populous is required. Before you begin your plan to expand to this town, or any other in Central Alberta, we encourage you to contact us today.